Last week Year 2 and KS2 carried out a fascinating experiment with Mrs Woodham to see how animals stay warm in the Antarctic. The children took turns to put their hands in 2 plastic bags – 1 empty and 1 containing lard – and plunged them into icy water to see which felt warmer. Even Mrs Phillips had a turn! Now they understand why whales and seals need blubber under their skin to survive in extremely cold temperatures. 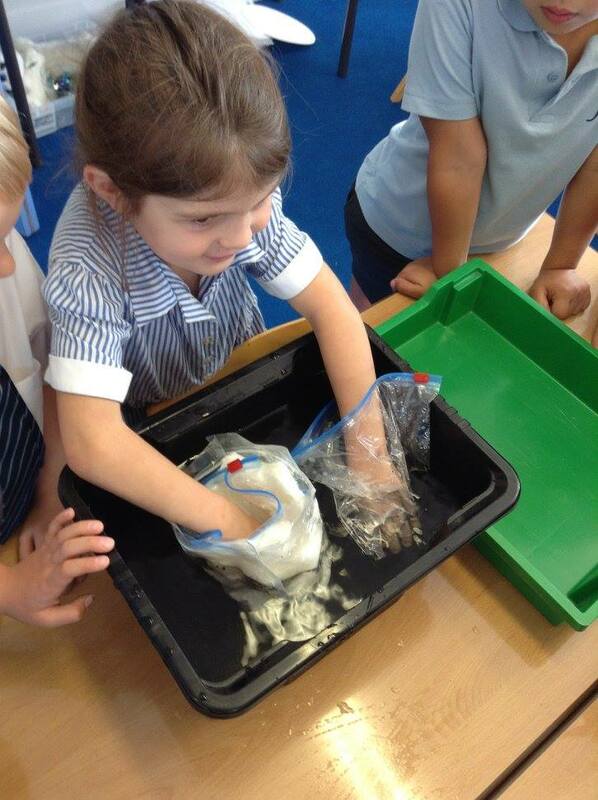 From the looks on their faces, the children enjoyed getting cold and gloopy!